Why we respect dictionaries? Yes, they are smart and strict in definitions. 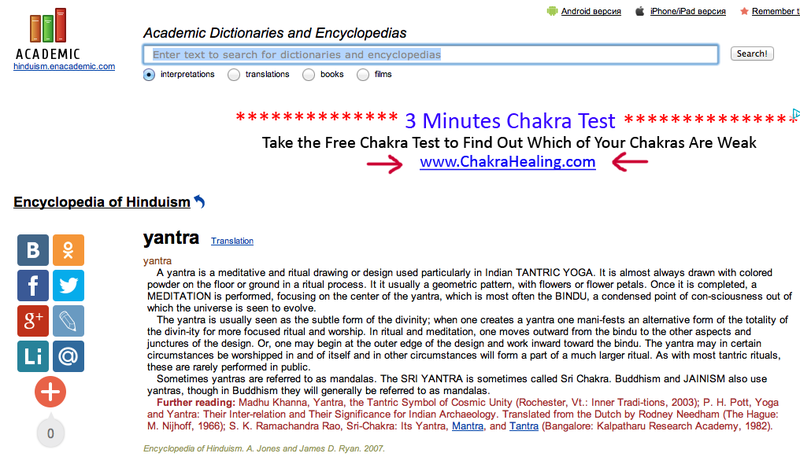 Let’s google ‘sri yantra dictionary’. Wow, the result is 2,300,000. Let’s check it up, at least the three pages of search engine. Especially I liked that: Etymology, 1877. Simple like this. No reference to source. If you want, you can believe, if you don’t want, do not believe. Is everybody so free in the business of compiling dictionary entries? I have a feeling, that now more questions walk the earth in my head than it was a couple of days before. Why wise men are not happy dealing with the best of dictionaries?